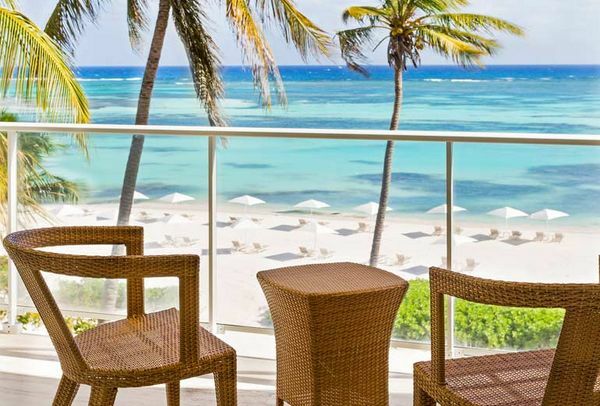 Starwood has lots of great hotels all over the world, including the Caribbean and Mexico, where you can book award stays with Starwood points! The sign-up bonus on the Starwood Preferred Guest Card from American Express card (personal and small business) has increased to 30,000 Starwood points after meeting minimum spending requirements. 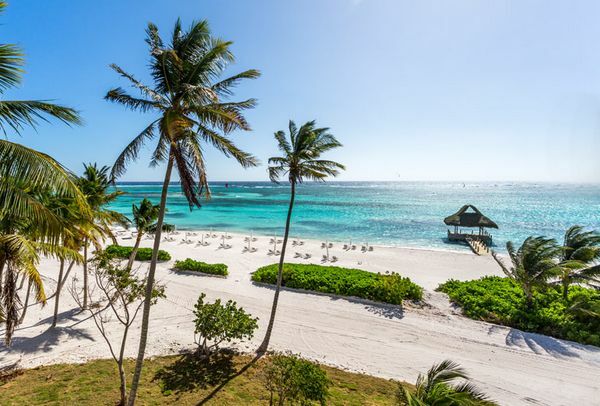 Start the Day at the Beach at 1 of These Hotels in the Caribbean and Mexico! I’ll show you 5 top hotels for award stays with Starwood points! The sign-up bonus on the AMEX Starwood card (personal and small business) is usually 25,000 Starwood points after after meeting minimum spending requirements. 30,000 Starwood points is more than enough to get started with award stays at Starwood hotels! Or treat yourself to a luxury night at a top-tier hotel! Here’s how to redeem Starwood points for award stays. Note: The prices in these examples are based on travel in October 2015. All of these hotels are eligible to get the 5th night free on an award stay because they are Starwood Category 3 to Category 7 hotels. I like using Hotel Hustle to find hotels because it shows you how many points you’ll need for your specific travel dates, and show you if award nights are available! Another option is AwardMapper. It shows similar information, but it’s not specific to travel dates and won’t search for available award rooms. I haven’t stayed at these hotels, but they look amazing and will give you some ideas for your next vacation! Tell me about your favorite hotels in the comments! The Westin Puntacana Resort & Club has beautiful beaches and a pool. And because it’s near the airport, you can start relaxing right away! A Category 5 hotel, a night here costs ~$300 per night after taxes and fees or 12,000 Starwood points. There’s also a spa and a golf course, La Cana. This is a course where you can book free rounds of golf as a Citi Prestige cardholder. And Punta Cana is well-known as a golf destination! Temperatures stay in the 80s all year-round, so this hotel would make a great winter getaway! 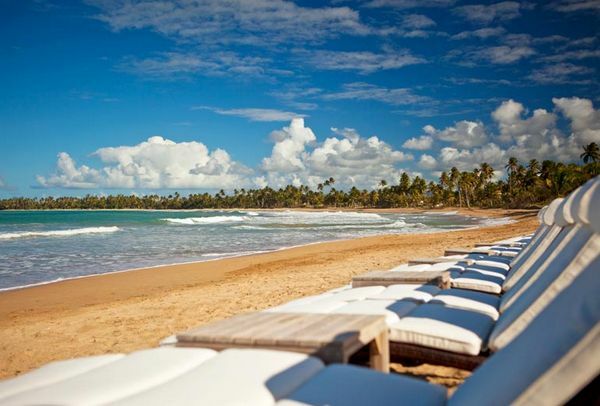 A Category 7 hotel, The St. Regis Bahia Beach Resort, Puerto Rico is worth splurging for! Enjoy Bahia Beach in Puerto Rico… and Leave Your Passport at Home! A night here costs ~$990 after taxes and fees, or 30,000 Starwood points. There’s a golf course, a spa, and a kid’s club. So the whole family has something to do here! There’s a daily resort fee of $60, so be sure to factor that in. Located in the US Virgin Islands, The Westin St. John Resort is a Category 5 hotel. Families love to stay at this hotel because it has a large pool, a beach with trampolines, and a day camp for kids! The hotel grounds are spread over 47 acres, so you’ll have lots to explore. 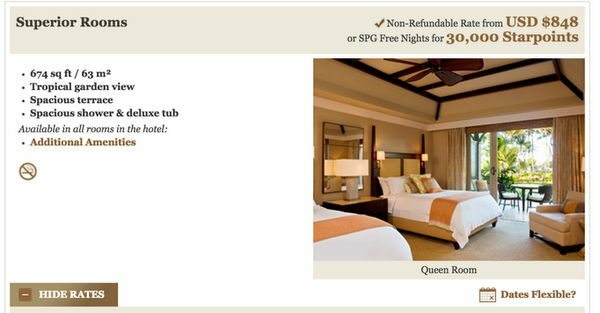 Rooms start at $234 per night or 12,000 Starwood points. Keep in mind there’s a $40 per day resort fee. But with all the activities available, you may decide it’s worth it! 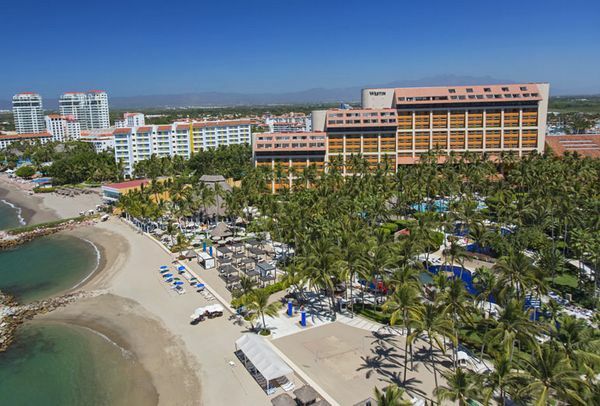 If you want to vacation in Mexico, consider The Westin Resort & Spa in Puerto Vallarta. A 5-Night Stay at The Westin Resort in Puerto Vallarta Is 28,000 Starwood Points With Starwood’s 5th Night Free Perk! This hotel has beach access, a pool, and a kid’s club. And it’s close to the airport so you can start your vacation shortly after you land! A 5-night stay here costs ~$790 or 28,000 Starwood points. Treat yourself to a weekend away or celebrate a special occasion! 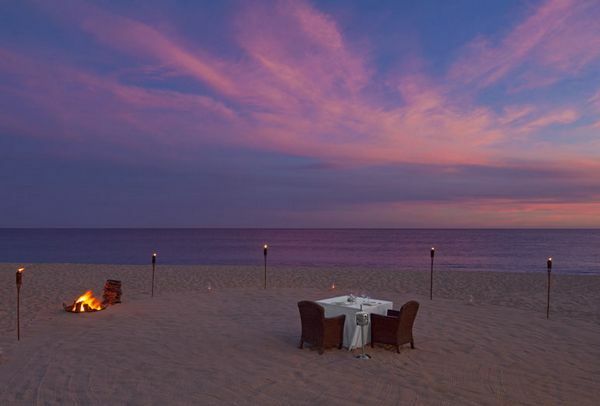 Another option in Mexico is the Sheraton Hacienda del Mar Golf & Spa Resort, Los Cabos. Located at Land’s End on the Baja peninsula, you’ll have plenty of golden sand and turquoise water at Tortuga Beach to enjoy. A 3-night stay here costs ~$837 a night with taxes and fees or 30,000 Starwood points. There’s a kid’s club, a restaurant, 5 swimming pools, and a swim-up bar. There’s also a jacuzzi in the room! You’ll Have a Private Terrace and a Jacuzzi in Your Room! There is a mandatory daily service charge of 4% per room per night even on award stays, so keep that in mind. And Cabo San Lucas, a colorful beachside city, is a short drive away! There are lots of beautiful Starwood hotels in the Caribbean and Mexico where you can get award nights with your Starwood points. Stay at hotels like the The Westin St. John Resort, The St. Regis Bahia Beach Resort in Puerto Rico, or Sheraton Hacienda del Mar Golf & Spa Resort in Los Cabos. The sign-up bonus on the AMEX Starwood card (personal and ) is usually 25,000 Starwood points, so you’ll get an extra 5,000 Starwood points with the current 30,000 point sign-up bonus. That’s valuable because Starwood points can be worth a lot of money towards Big Travel. And they’re hard to earn. In the past, this increased offer has only come around once per year. And this year it expires on September 14, 2015. 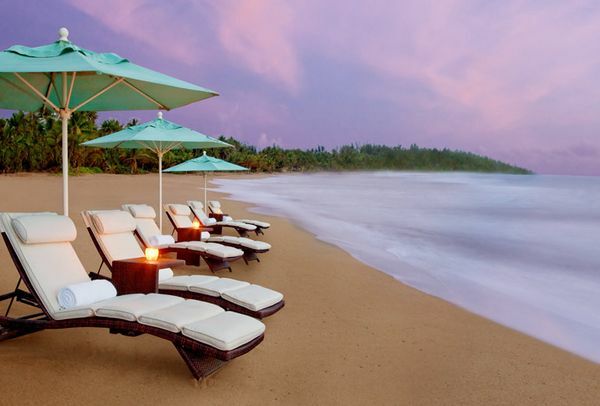 Tell me about your favorite Starwood hotels in the Caribbean and Mexico! Are any of the hotels all-inclusives? The Sheraton Los Cabos is located in the Hotel Corridor zone which is between Cabo San Lucas and San Jose. It is about 10 miles from Land’s End, not “at Land’s End.” I would hate for somebody to think they are getting to stay at Land’s End. They would be disappointed when they realized they were staying off the highway nowhere close to either city. Although it is nice for relaxing and people that don’t mind taking taxis or driving to eat dinner. You forgot the St Regis Punta Mita. Voted one of the best resorts in Mexico every year. No list would be complete without that one. BTW, you never answered my question from yesterday’s post regarding Starwood suite night certificates expiration.